Bramley Elderly Action organises extra care trips for members who need a bit of extra support to get out, and would prefer shorter day trips. “These half day trips are very good for me. These monthly trips to a local venue are for members with extra support needs (including mobility, medication or other reasons) and are fully supported by staff and volunteers. We collect you and return you to your home. Each trip lasts 4-5 hours and costs £7.00, without meals. Meals or extras are additional and payable on the day, unless otherwise stated. These trips are an excellent way of getting to know people, going to new places and revisiting some old favourites. 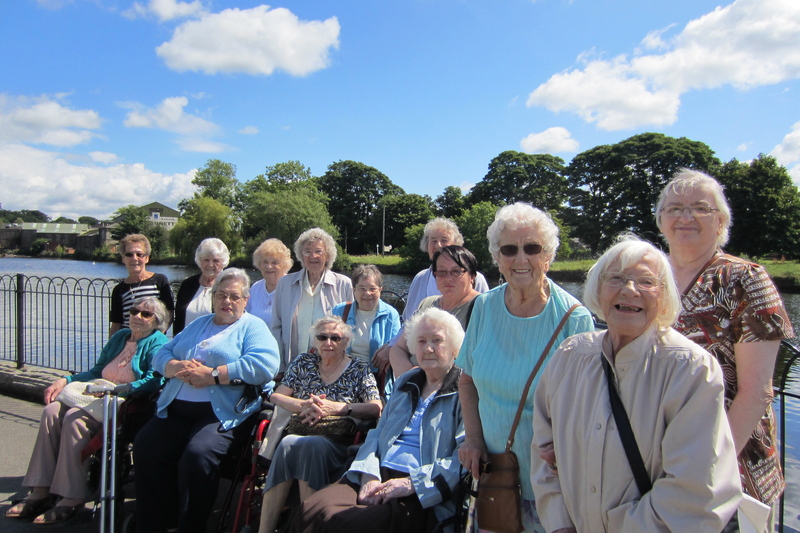 We also organise longer independent trips, for people who can be out for a half or full day without extra support, or can bring a companion to support them, and run regular shopping trips and Showtime visits to live performances. ‘Tis the season to be jolly. They have decked the halls at Tong ready for shopping and a bite to eat in the cafe. Settle into the new year with our favorite lunch. Hot fish and chips with a side helping of what you fancy. Delicious. Can you make a strike? Join us for a game of ten-pin bowling and lunch in the local pub. Fully accessible and fully loaded with fun. A splendid little spot in Idle for lunch at the popular bistro pub. Join friends for a catch up and be tempted by a little dessert. With the flowers in full bloom it’s the perfect time of year to visit the centre and stock up on your spring bulbs. You can book your chosen trips on the form that comes with the quarterly newsletter, BEAm.